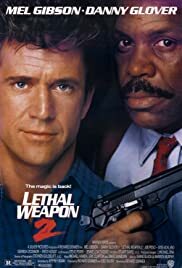 When he was first hired to re-write Shane Black and Warren Murphy's original "Play Dirty" script for this movie, after it was rejected for being too dark and violent, Jeffrey Boam wrote two different drafts of his re-write; one which was a hard boiled action script, and one which had more comedy. He was told to mix both versions of his re-written script, and to make new draft from that. He still ended up having to constantly re-write the script before, and during filming, mostly because Richard Donner always wanted to improvise anything new while filming, or add something more, or different to the scene. Pieter Vorstedt: I was going to offer you a drink, Riggs, but I hear you're on the wagon these days. 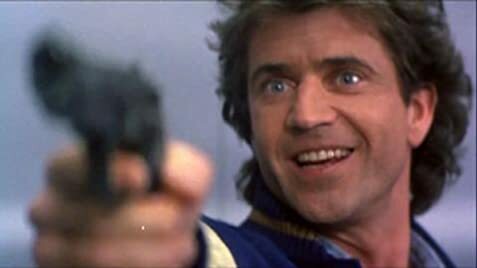 Martin Riggs: Yeah, that stuff'll kill you quick. Listen, you know so much about me; who the hell are you? Q: Is the stilt house real in the movie? If you're looking for an extremely enjoyable movie, in all aspects of the word "enjoyable" i seriously recommend this masterpiece! It has everything anyone can ask for: a star-studded cast, excellent performances, masterful directions, engrossing story, amazing action-sequences, witty dialogue, sensational sound track, and this is just the beginning! And if this is not MAGIC then I don't know what is! Gibson's Riggs and Glover's Murtaugh are amazing, the chemistry here is absolutely amazing! Each complements the other perfectly and the inclusion of Pesci's Getz is the best thing that could have ever happened to the movie. It's not just the performances either. LW2 is an excellent follow-up to the original that spawned 4 sequels and is a MUST-SEE. As a matter of fact, I personally find it to be the best movie throughout the series. Do not pass this one up!